Students coming back for the fall semester will be greeted by new walking surfaces thanks to a project to renovate campus pathways this summer. Dubbed the “Pathway Project,” the scope of the changes included the west side of the quad from around the Koi pond west through the Budd Center and Danner Hall. Also included were the Budd and Shima parking lot areas, and subsequent areas around Danner Hall, including the campus entryway between Danner and Shima. The project will be completed by Aug. 16, according to Stacy Pinola, Facilities Planner/Environmental/Grounds Manager for Delta College. The project is funded through bond measures. “The Pathway Project is part of the ADA/Path of Travel requirements directed by the Division of State Architect (DSA) as part of the Budd Remediation and Danner 2nd Floor Projects,” said Pinola in an email interview. The renovations included the replacement of concrete made to look like faux cobblestone, a fixture throughout the Delta College campus. 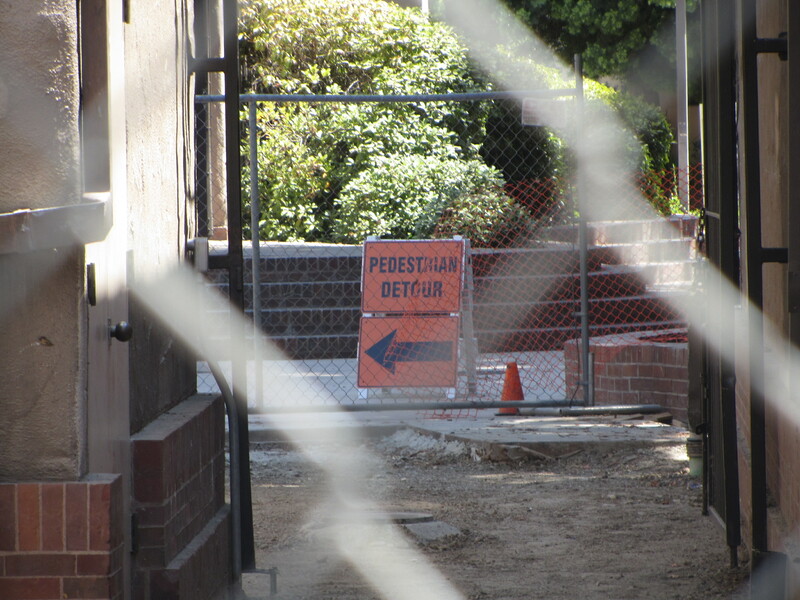 During construction, which included the summer semester, the campus community was informed of detours to avoid the specific areas of construction. Signs were also posted to aide people in finding other areas around the construction area, said Pinola.